The First Protocol Security Guard Team is well-trained, adaptable and reliable. FPSG is a professional security management firm located in South Florida that can handle most any security guard project and often with short notice. Our Security Guards are highly-trained, well-dressed (uniformed or undercover), armed or unarmed who can handle private security protection projects. 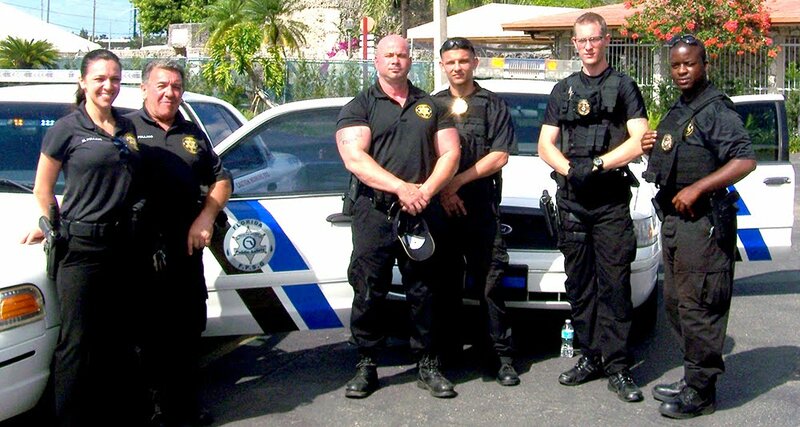 Specializing in former military and law enforcement individuals, FPSG's staff is considered the best in the industry. Call now for a free consultation to discuss how we may assist with your protection needs at 954.998.4345. First Protocol Security Group provides complete services for builders, special event venues, convention centers, hotels, schools, houses of worship, warehouses, auto dealerships and other locations. Confidentiality - FPSG'S Security Guards provide sweeps for schools, night clubs, businesses and residences. FPSG is privately-owned and services are performed at the discretion of the clients. All information is strictly confidential which allows FPSG to work in the client's best interest. Community-Focused - Local law enforcement agencies and the communities-at-large recognize the benefit in partnering with security companies, such as FPSG, to enhance security, protection and safety resources.